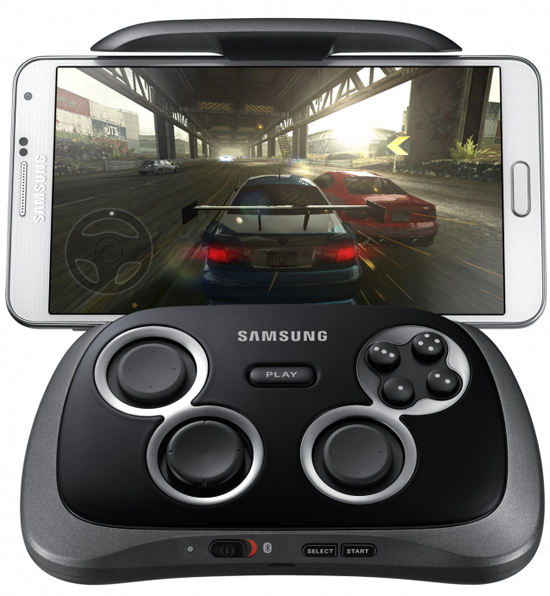 Samsung Electronics Co. Ltd, has launched the Smartphone Gamepad and Mobile Console app to transform Galaxy smartphone or tablet into a portable gaming console to enhance the gaming experience of its user. 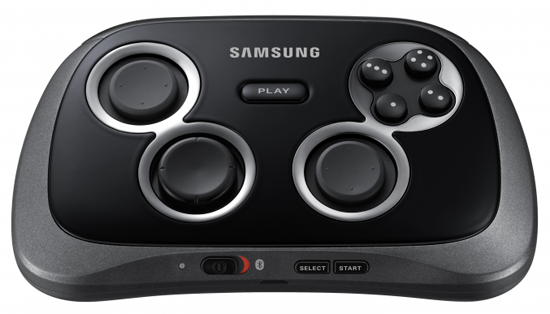 The Samsung Gamepad weighs in at 195g and feature an eight-way D-pad, four action button, two triggers located on the shoulder of the gadget and two analog stick. Users can just clamp their smartphone on the GamePad for portable gaming or connect their device to their TV using an HDMI cable or AllShare Screen Mirroring for a home console experience. With just a tap of the “PLAY” button, users can easily access the Mobile Console app to allow them conveniently browse and purchase game pad supported games.